Leonard George Weller was born in 1915 in Edmonton, north London, the son of Arthur and Marian Weller. He worked as a toolmaker before the war, and was married with an infant daughter by the time he joined the RAF in 1940. 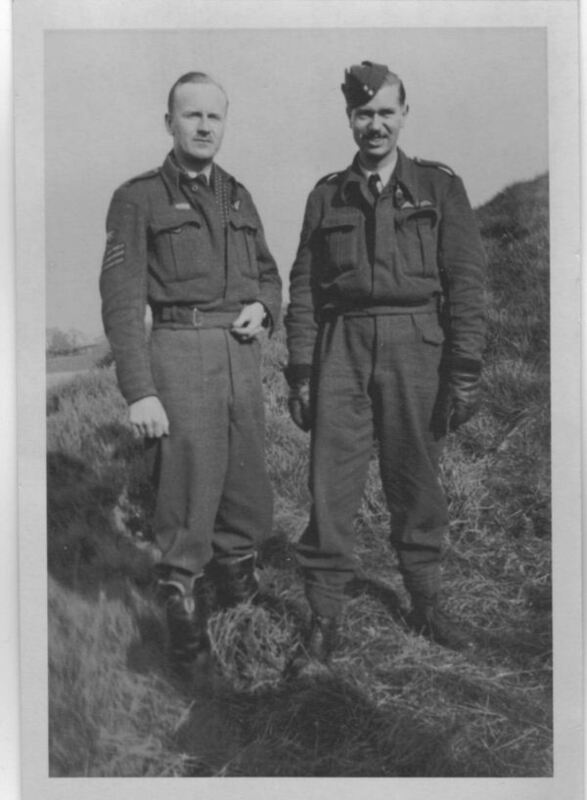 This was the middle of a very busy period for Lew Burpee, his crew and 106 Squadron in general. A further ten operations would follow in the next four weeks, and Weller flew on them all. By the time the crew were transferred to 617 Squadron, he had been commissioned, so he now outranked his skipper. More training followed, and early in the morning of Monday 17 May, Weller was in the crew of AJ-S as it set off on the Dams Raid. AJ-S was shot down at 0200, so the messages which Weller should have received at 0232 and 0233 went unanswered. The body of Len Weller was one of the three which were positively identified by the Germans before it was buried in Zuylen Cemetery, Prinsenhage. Lewis Burpee and Gordon Brady were buried alongside, while the other four shared a communal grave. After the war the bodies of all seven were exhumed and reburied in Bergen-op-Zoom War Cemetery.